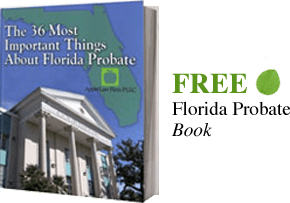 A Florida charitable trust can be one of the best estate planning strategies the attorneys at The Law Office of David Goldman PLLC use for our Jacksonville and Ponte Vedra clients who have larger estates. Our Jacksonville Trust Attorneys and Ponte Vedra Estate Planning Lawyers can create charitable trusts that can fulfill virtually any estate planning objectives a person or family may have. We often recommend charitable trusts to permit clients to have the ability to lower their taxable estate and leave behind a lasting legacy. There are two types of charitable trust that we can create. One type is called a charitable remainder trust, and the other is called a charitable lead trust. A charitable remainder trust allows a settlor, the person that creates the trust, to transfer assets that appreciate in value into the trust to create a revenue stream for the beneficiaries. This can also reduce a person’s income taxes and estate taxes, and when the settlor transfers the asset he or she does not have to pay any capital gains taxes. A charitable remainder trust is usually an irrevocable trust, which allows the IRS and other government agencies to view the trust as a separate entity. The settlor transfers an asset, such as stocks, into the trust. This removes the asset from the settlor’s estate, and the settlor receives an immediate income tax deduction for the income tax return this year. The trustee, or the manger of the trust, will then either sell the asset or keep the asset if it produces income. The trustee will invest the property so that the principal grows each year. The trustee will distribute the income of the trust to the beneficiaries of the trust, and when the settlor dies the trust assets will pass to the charity. Selling assets when they have appreciated in value can create capital gains taxes. Capital gains taxes are taxes on the amount an item has appreciated in value from the day the owner bought the item until the day the buyer sells it. For instance, Steve buys stock for $50,000 in 1970. This same stock is worth $500,000 in today. Steve must pay a capital gains tax on the $450,000 the stock appreciated in value. Federal capital gains tax is 15% - 20 % and there are also healthcare taxes on this type of income. Steve would pay as much as $110 in Federal Capital gains tax. Florida does not have an income tax. If Steve transferred this asset into a charitable remainder trust and the asset earned a modest 4% return this would give Steve $20,000 a year in income. If Steve lives for 30 more years, then this investment would bring Steve a lifetime income of $600,000 before taxes. The settlor has a few options when setting up the type of income a charitable trust produces for the settlor or another beneficiary. The beneficiary can receive a fixed percentage of the charitable remainder trust. This option allows the trust income to fluctuate depending on the asset’s investment performance year to year. Often the asset in a charitable trust is readily marketable, such as real estate so that determining income can become difficult. If this is the case, a trust attorney can design the trust to pay the lesser of the fixed percentage of the trust assets and the actual income earned by the trust. A charitable lead trust is similar to the remainder trust with the key difference being that the charity receives the yearly income and the beneficiaries receive the remainder after the settlor dies. This type of charitable trust is ideal for wealthier clients who do not need the income an asset might bring but still want to leave a large inheritance to their heirs. A settlor that creates a charitable lead trust received a charitable income deduction in the year the of the creation of the trust. This is an immediate charitable deduction for the present value of the future income stream. However, it is subject to percentage limitations depending on if the charity is public or private. A charitable lead trust can also be designed to provide income to a charity for a fixed term of years rather than for the settlor’s lifetime. Often a charitable gift is contained in a decedent’s Florida will or Florida revocable trust. There are times when it is better to make a separate charitable contribution to prevent adverse consequences. If you would like more information on Florida Charitable Trusts or to create a Trust which will benefit a Charity in Jacksonville or Ponte Vedra Beach, CONTACT our Jacksonville Charitable Trust Lawyers by email or call us at 904-685-1200 to discuss your situation today.